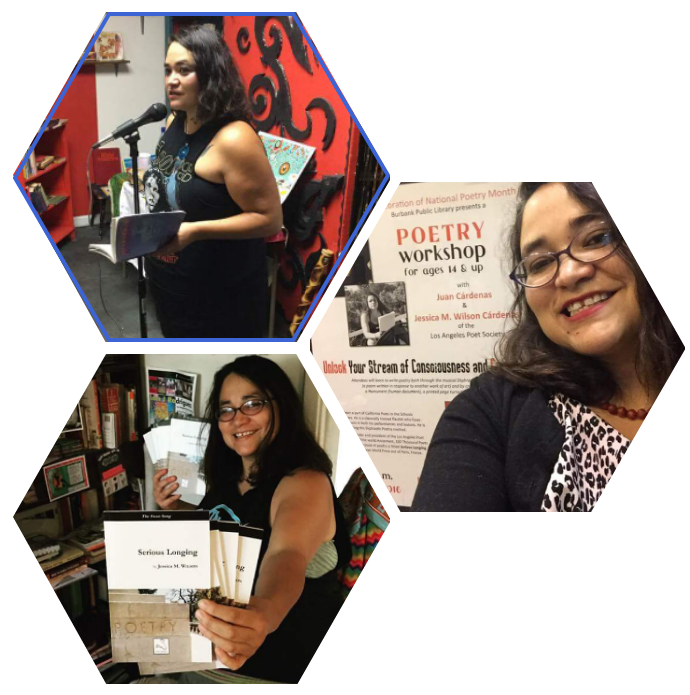 Los Angeles Poet Society, (LAPS), began in 2009 by East Los Angeles Poet, Jessica M. Wilson, with a goal of uniting literary Los Angeles! It has created writing showcases to serve the many creative communities of Los Angeles county. LAPS has currently served: Downtown Los Angeles, Venice Beach and Venice, CA, North Hollywood and surrounding areas. Their literary arts and poetry showcases have included: Writers’ Row — a showcase of the written art during the popular DTLA Art Walk Thursday’s, the SoapBox Poets Open Mic born from the Venice, CA boardwalk offering any artist the opportunity to step up to the SoapBox and be heard. Most recently, the LAPS produces an average of 75 shows a year, including the Poets & Writers ranked Literary series, Writer Wednesdays at Bob’s Espresso Bar! LAPS also participates heavily in 100 Thousand Poets for Change, (100TPC), 100 Thousand Musicians for Change, (100TMC), and has represented Los Angeles at Beyond Baroque since 100TPC began in 2010 bringing awareness and solidarity to the issues affecting the community and bridging the literary network by further partnering with PEACE advocates around the world! LAPS runs 2 yearly poetry contests, conducts outreach to youth –teaching and sharing creative art and poetry in partnership with California Poets in the Schools, and most recently has partnered with the “Young Oldie” Norman Molesko and has established a Senior Advocacy branch of LAPS to promote Creative Aging to our senior population.